How to create the floating search widget with Divi theme and WPL? 1. 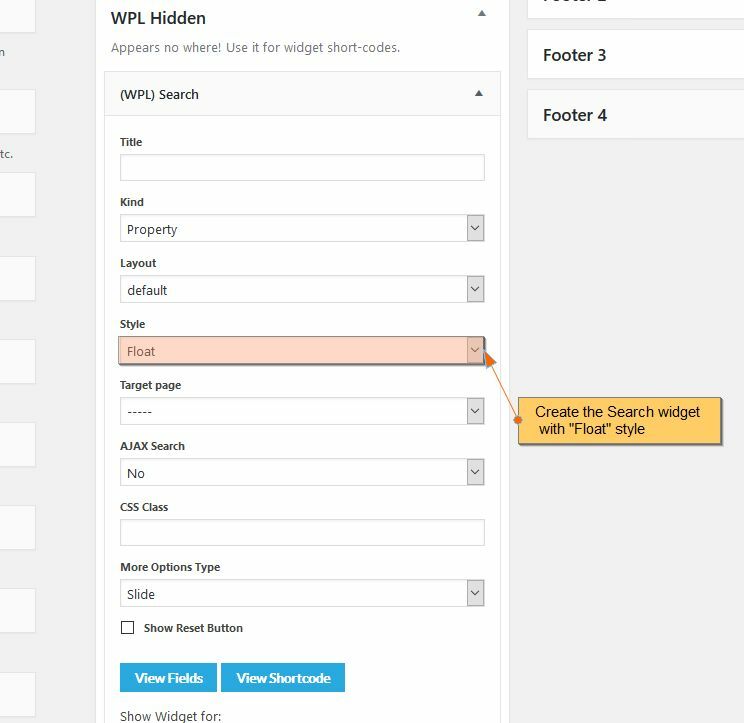 Create the Search widget with Float style in the WPL Hidden Area. Then, click on View Shortcode button and copy the shortcode somewhere. 2. Go to the Pages->Edit Page. 3. In the module options create a new slide. Then in the slide options, put the search widget shortcode from step 1 to the Content box. Here you can also configurate a background image, slide image or slide video. On the demo website we are using the background image.